This is an adapter kit to use the 2007-2008 TL FlashPro for your manual 2004-2005 TL. This allows full user tuning and datalogging. A new or used ECU from the 2007-2008 TL (MT) or 2007 TL base AT. * The Auto ECU needs a hardware modification for cruise control to work. The CAN adapter cable connects from the DLC to the CAN bus connector. See the install instructions. 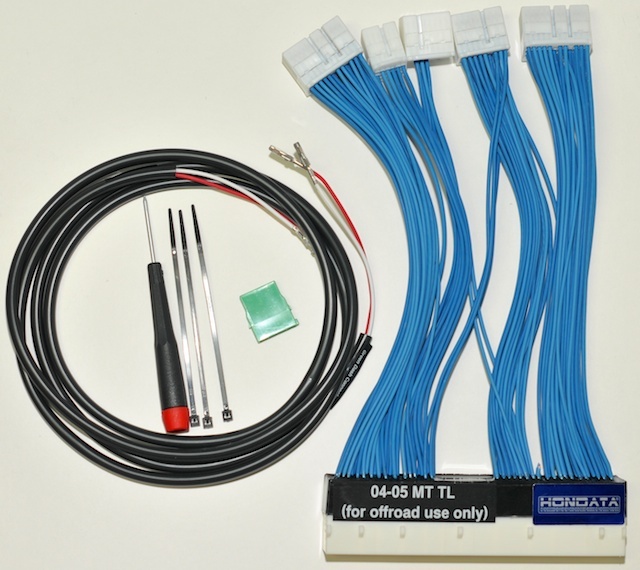 The ECU adapter connects the 07/08 TL ECU to the 04-05 TL and 03-07 Accord harness. Expanded fuel, ignition and knock tables for forced induction.